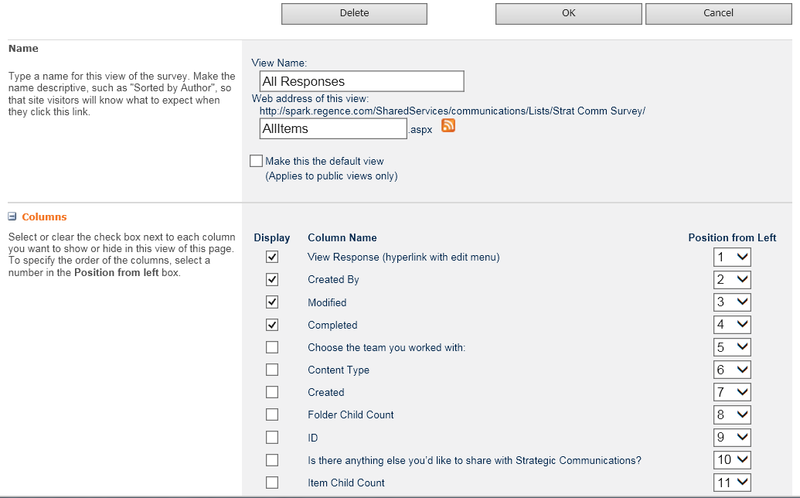 The most recent example of that was yesterday when someone asked me if we could change the Survey Response view to add a couple of columns. No problem, right? I’ve changed views thousands of times, right? Nice! have you ever modified the graphical summary view? Thank you for this! I’m been beating my head on my desk trying to figure out how to do this.